Thank You To Our Veterans! - Scarsdale Premier Insurance Agency | Advocate Brokerage Corp.
Veterans Day is the day the nation has set aside to honor those who have served in the US Military. Banks, schools, libraries & the US postal service are closed in observance of this special day. Many look forward to this day as a day off work, or freedom from school without giving a second thought to the significance it brings. We decided to make this Veteran’s Day a bit more personal. We would like to pay tribute to our family members who have served this country including our co-founder (and my father) Ronald Binday. It is our intention to let them know that their service has not gone unnoticed. That we are grateful for the sacrifices they have made on our behalf. 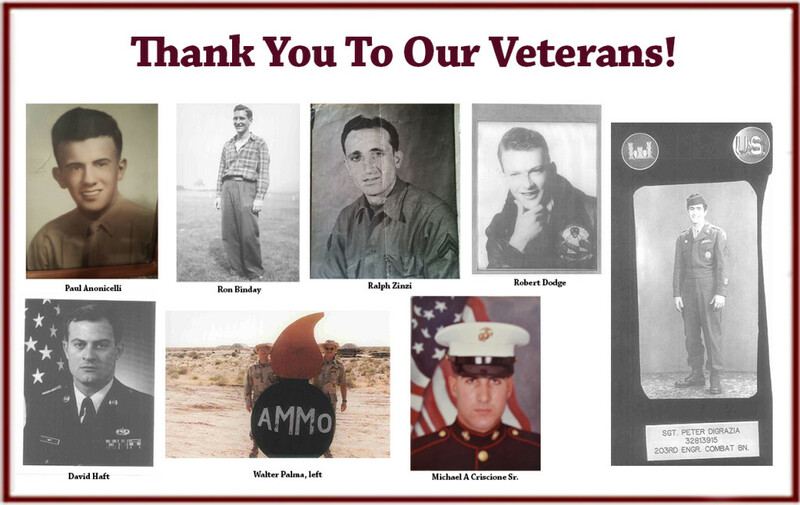 Below are the Advocate staff who have served in the US Armed Forces as well as the fathers, husbands, brothers & nephews how have proudly served their nation. And on behalf of myself and the entire Advocate Team, a heartfelt THANK YOU for your service!